Copenhagen Detective Inspector Carl Mørck has been taken off Homicide to run a new department for unsolved crimes and he’s not happy about it. Soon things get busy when his first case concerns Merete Lynggaard, a politician who vanished five years ago. Everyone says she’s dead, he thinks they’re right. But that might not be the case, and Merete’s time is running out. It’s been a long time since I’ve read a detective thriller and The Keeper of Lost Causes did not disappoint. Carl is one of those typical cranky detectives who doesn’t work well with others, his colleagues don’t really like him but they still ask his advice on difficult cases, but he’s still a decent person who’s good at his job. It’s great to see bits of the case come together because as the reader you sometimes know more than Carl but you never get the whole story till the final chapters. Carl Mørck’s department is in the basement of police headquarters and it’s just him and his assistant Hafez el-Assad. They’re an odd combination and provide some moments of humour. Assad is Syrian so he doesn’t always get how things work in Denmark but he’s never portrayed as stupid, in fact he’s a great help to the case, seeing things others don’t. It was really nice to see how Carl respected Assad’s religion, getting a floorplan of the station so Assad knew which direction to pray – the religious aspect of Assad’s life was so natural and just a part of him and no one made a big deal of it. Assad is a very likeable character with some hidden talents, I enjoyed seeing him and Carl slowly start getting to know each other, each dealing with each other’s unusual habits and personal traits. Carl is definitely a character I didn’t like to start with but he grew on me, especially because he has a very dry sense of humour and is often brutally honest. 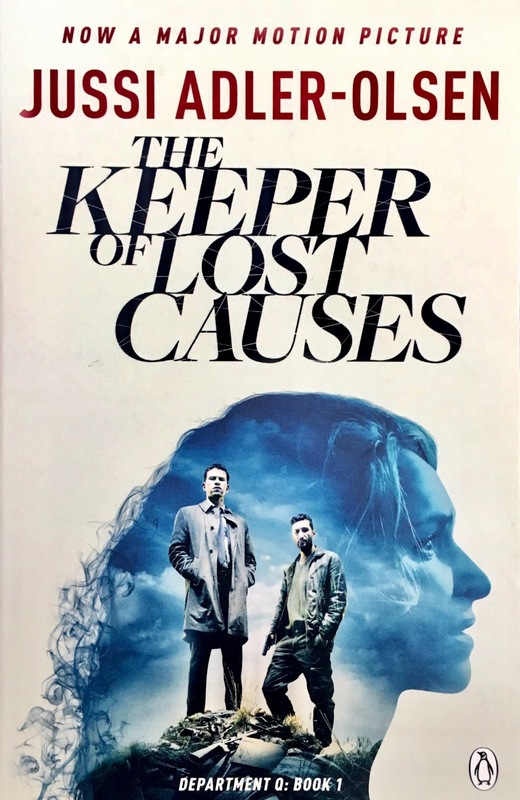 The Keeper of Lost Causes is a proper-page turner, there were revelations at the end of most chapters and a sense of desperation as the novel progressed as you learnt more about Merete and the horrible situation she’s in. 5/5.